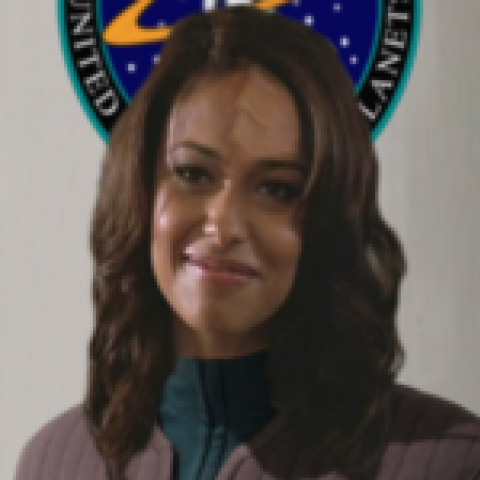 The United Federation of Planets is a union made up of hundreds of member worlds. Starting as an alliance between Humans, Vulcans, Andorians, and Tellarites, the Federation grew outward as more and more worlds joined. Planet by planet and sector by sector the United Federation of Planets expanded its reach across the Alpha Quadrant. Hundreds of species live in harmony and cooperate together to operate the Federation and its military arm, Starfleet. Many governments of varying attitudes and governing styles call the Federation home. But some governments aren’t well-suited to giving up their autonomy and becoming just one part of a larger whole. They may be too paranoid to give up their power to a higher organization. Others might consider some of the core ideals of the Federation too restrictive. Joining the post-scarcity Federation without a strong unified currency would be a hard sell for the business-friendly Ferengi. Many of the enemies and allies of the Federation probably wouldn’t smoothly transition from autonomous government to Federation member. This week’s poll asks you which government you think could make the change easiest. Would the Klingon Empire be able to set aside their more aggressive military policies and merge together with Starfleet? How much work would have to be done to reform Cardassia’s government until it could be accepted? The change would be difficult for any of them, and some might not be able to do it. Which government do you think would make the easiest transition into Federation membership? Click here to head to the forums now and respond to this poll of the week. Weekly Poll: Favorite Geek Holiday?